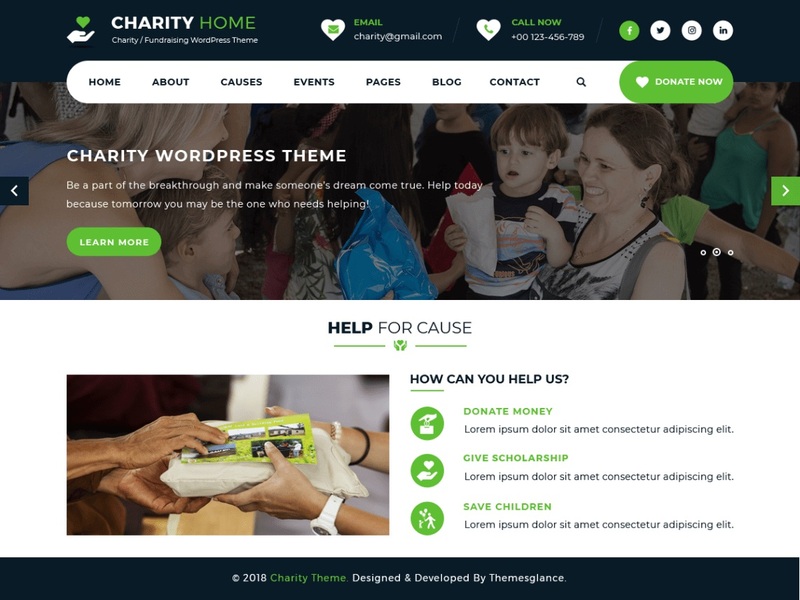 Charity Fundraiser is a robust, engaging and beautiful charity WordPress theme for charities, non-profit organizations, NGOs and websites organizing donation camps, fundraising events and campaigns. The theme will help you get the much-needed attention through its inviting layout and attention seeking design. It has a user-friendly interface to help you indulge in smooth navigation. The theme is responsive to give superb look on all devices irrespective of their screen size. It is cross-browser compatible and ensures speedy loading. The theme is designed keeping in mind the SEO factor. It is translation ready to encourage people in their language which surely will work positively. Its homepage can be donned with banners and sliders to give the website a completely different look. The theme is integrated with social media icons to reach maximum people in minimum time. It is built to be readily customizable to mold the site design according to your wish. It is built on a Bootstrap framework which further eases its usage. It has placed Call to Action buttons to take your visitors where you want them to pay attention. This charity theme is written in clean and secure codes. The theme is compatible with various third-party plugins to get extended functionality.